How Should You Prepare Your Car for the Canadian Winter? Canada’s winters are beautiful, but challenging. While most of us love to see snow falling and feel a crisp chill nipping at our nose, there’s no denying that winter makes getting out on the road a pain. Driving to work, heading to the store for groceries, taking the kids to school, and other everyday journeys take some planning. You should have already prepared your car to cope with the Canadian winter, but if you haven’t, what do you need to do? As we all know, keeping your engine running is absolutely critical — but the wrong oil can affect how well yours copes with plunging temperatures. You need to study your vehicle’s owner’s manual to find out more about the right oils, but typically something like 5W30 is a good choice for chillier weather. The likes of 10W30 or 10W40 tend to be too thick. Basically, the thinner your oil, the faster and more efficiently it will circulate, keeping your engine lubricated and performing at its best. Does your area tend to see heavy snowfall? If so, sticking with your standard tires throughout winter could be a risk — snow (or ‘winter’) tires are a much safer choice. These feature deeper grooves which gain far more traction, reducing your danger of sliding on icy or snow-coated roads significantly. They are usually constructed from a different type of rubber too, which aids their flexibility in some of the coldest weather Canada experiences. All-season tires generally struggle to grip as strongly as they should in temperatures below -10 degrees C, and being unable to brake suddenly can cost lives. Just be sure not to mix your different tires: change both sets for winter tires rather than just one. Is your car battery more than three years old? Now might be the time to invest in a new one. 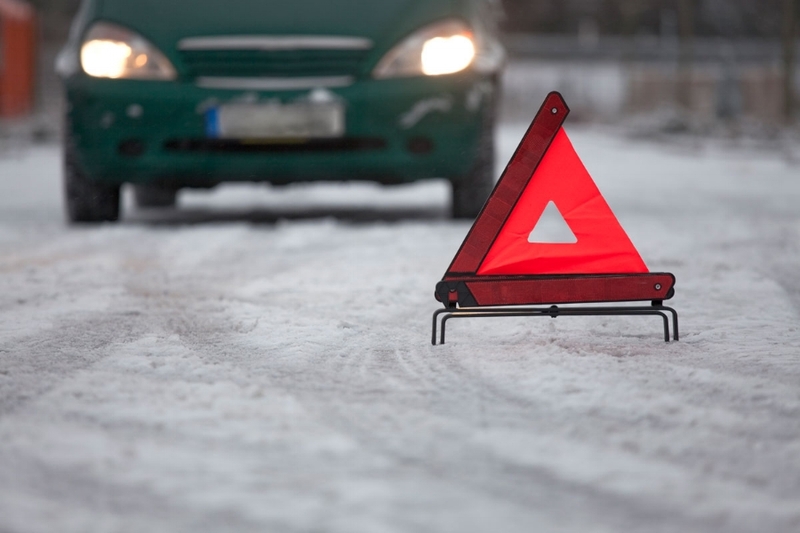 Having any issues with your battery during heavy snowfall or record-breaking low temperatures can be dangerous, especially if you break down in an isolated area. Examine your battery and its connections, and make sure there are no signs of corrosion. If in doubt, have an expert look at the battery for you. Getting your anti-freeze measurements right is essential to keep your engine safe from freezing up. Aim for a 50-50 mixture of water and anti-freeze in your coolant; anything less may well pose a risk to your engine’s performance. Even if you do everything right, you might still face engine trouble, tire problems, or simply be unable to drive on in deep snowfall. Give yourself and your passengers the best chance of staying safe while waiting for help. Make sure you have a couple of thick blankets, a change of clothes in case you get wet, water and food, a flashlight, jumper cables, a first-aid kit, and additional windscreen wipers. All of the tips explored above can make a big different to your car’s performance and your own safety this winter. If you ever need towing or roadside services, give Road Runner Towing a call! We’re based in the Toronto area, and guarantee to be with you within 30 minutes. How Will Autonomous Cars Affect the Towing Industry?